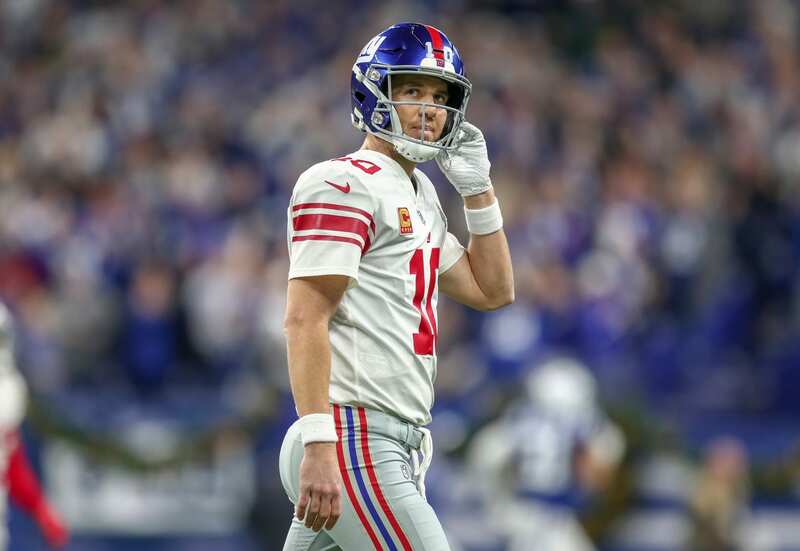 There’s another voice in the Eli Manning debate, and this one has a bit more experience with the New York Giants quarterback than some of the others offering takes on Manning’s situation. That, of course, would be quarterback trainer David Morris, who interacted with Manning firsthand as his backup at Ole Miss. Morris is now running a quarterback training school, and a good one at that. There’s several NFL prospects in its ranks, including potential Giants target Daniel Jones. But Giants fans are going to be more interested in hearing Morris’ takes on Eli Manning than his ones on Jones, and Morris did talk about Manning while speaking to Big Blue View. “I see a guy that can play at the highest level. I think he’s as good as he’s ever been and I think he’s a guy that showed that this year at times,” Morris said on the subject of Manning. Manning might still be sharp mentally, but that will have a limited impact if the Giants don’t spend this offseason improving in certain areas, such as the offensive line. Manning was no stranger to being knocked down last season, and while it appears that he’ll go into the next season as the starter, better support from the offensive line and possibly even better performances from wide receivers are needed.